— Franklin H. Julie, Esq. A top agent with more than three decades of experience and nearly $1B in closed sales, Shirley Hackel has sold hundreds of luxury properties citywide, serving each client with intelligence, integrity and heart. A skillful strategist and expert negotiator, she brings sensitivity to every deal and always delivers exceptional results. A creative thinker, she is keenly attentive to details and achieves optimal terms with flawless execution. Not surprisingly, nearly 90 percent of her business comes from repeat and referred customers. 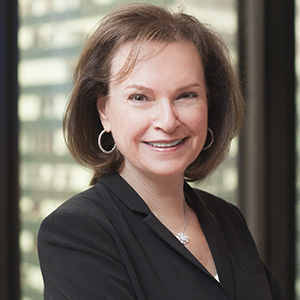 Well respected for her market knowledge, judgment and discretion, she is often quoted and profiled in leading publications such as The New York Times, Crain’s New York Business and The Real Deal. A recognized industry leader, she shares valuable advice and analyzes market conditions and emerging trends on “An Insider’s Blog” on her website. Shirley was named "Top Ten Women of 2010" by NY Residential Magazine, and as a former longtime co-chair and current executive committee member of REBNY's prestigious NYRS® program, she has led the way in raising industry standards. She serves on the executive board of Historic House Trust, a non-profit in partnership with NYC Parks whose mission is to promote and preserve a collection of 23 publicly owned historic sites located throughout the five boroughs. Located in the exclusive Bay Harbor Islands, this boutique 7 story-condo is attractively priced at approximately $500 per square foot and includes two parking spaces. With only 26 residences, the building features sleek glass balconies and an open atrium with rippling waterfall. The loft-like apartments boast well laid out open floor plans and tall ceilings. Residents can enjoy rooftop pool and spa, fitness and yoga center, kids club and beach membership. Away from the tumult of downtown Miami and South Beach, the area offers serenity and boasts one of the best public schools in the country. Perfect for first time buyers, investors and second homes.